President Duterte disappeared from the radar screen and his absence makes the mind of Senator Trillanes wonders. The way he sounded it is even more titillating as he complains why the weary Rody cannot even wake up from his deep slumber. It’s independence day and he has to attend the flag ceremony, that’s what goes on in the mind of the senator. The President had been all over in the war zone areas where our troops are battling Maute terrorists and then visiting families of fallen soldiers. He accorded VP Leni Robredo the privilege of raising the Philippine flag in Luneta. If he cannot talk to her at least when she raises that flag she will realize that what the soldiers are fighting for in Marawi is for that flag to keep on flying and divisive politics is not what it takes to defeat the enemy. Even then his absence drew flak from the opposition preying for lapses coming from the mouth of President Duterte. His curses do not matter anymore so they keep an eagle eye on every move and every word that the President utters especially with the mounting pressures, tensions and tremendous stress are taking the tolls on him. That 72 year-old body should rest even as he is a night owl. He is facing enemies from all corners – Mautes/ISIS and political oppositions who are all praises for what the former are fighting for. Never mind Sen. Sonny Trillanes. He missing the President Duterte is another story. The last time Trillanes came real close to Duterte was when he wooed him to be his mate instead of Alan Peter Cayetano. But between the two, Alan “ay mas may dating”. Sonny actually never gave up on the former Davao City Mayor that when Duterte finally decided that Cayetano will be his running mate, the dejected Trillanes since then hated Duterte like a woman scorned. Now he and the wondering opposition are missing the elusive Duterte. Their problem is that they always place the “probinsyanong Presidente” in the mold of Pres. Benigno “Noynoy” Aquino and others before him. Let’s see how they defer. When Noynoy Aquino ordered the dispatch of 300 policemen who are all members of the PNP Special Action Force, to catch the notorious Marwan, he furtively did so without proper coordination with government forces in Mamasapano, Maguindanao. When the encounter took place, President Noynoy was hundreds of miles away in safe Zamboanga. Of course we all know what happened. Forty four SAF soldiers were mowed down by the enemy gunfire. 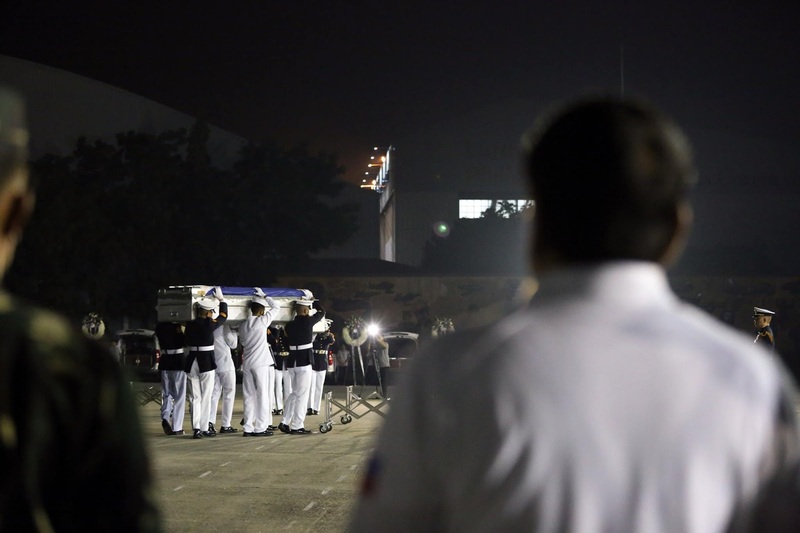 When the bodies of the government troopers were brought home to Manila and were given military honors, President Aquino skipped the event and went instead to the blessings of a motor company. When finally he attended the necrology service, he was photographed laughing to the discomfort of former Pres. Fidel Ramos who was seated right next to him. Noynoy never missed formal ceremonies including the raising of the flag in Luneta. But what about the Probinsyanong Presidente? Why cannot he be like Noynoy? Why does he visit his soldiers in the battle fronts. He visits them in their sick bed and pin medals on them. He cries and mourns with the bereaved families of the fallen soldiers. He cannot even manage to smile as he hands out cash assistance for the kin of the soldiers. He stays in the wake until daybreak when some garrulous politicians who should have been there in vigil were asleep. Missing Duterte? When Duterte is missing better be careful with his next move.